Independent publisher of acclaimed educational materials for students in elementary school through college. 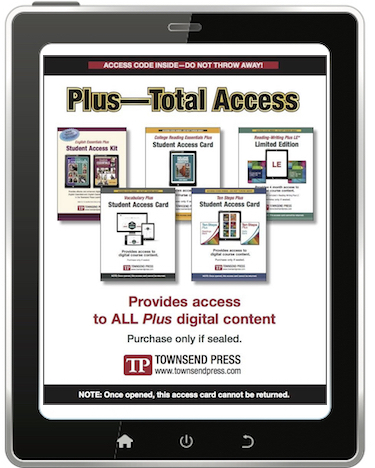 The Learning Center is a digital learning environment for educators and students using Townsend Press materials. Now serving more than 20,000 educators and 1 million students. Townsend Press is owned and operated by educators. Our loyalty is not to corporate interests, but to students and to teachers. Educators tell us what studies confirm: that our materials effectively teach reading, writing, grammar, and vocabulary. Try us and you’ll see. Townsend Press has one focus: to produce the best possible English and Language Arts materials. That focus makes our books and digital offerings better. We produce all print and digital content in the U.S. We donate a substantial portion of earnings to non-profit programs seeking to improve education. Why? Because it's the right thing to do. Get updates about specials, news, promotions and more. Spring 2019 is Vocabulary Season at Townsend Press! Plus—Total Access includes our textbooks, an eBook library, assessments, and all our reading, writing, vocabulary, and grammar skills programs. Get catalogs, price lists, product brochures and other commonly-requested print-ready documents. 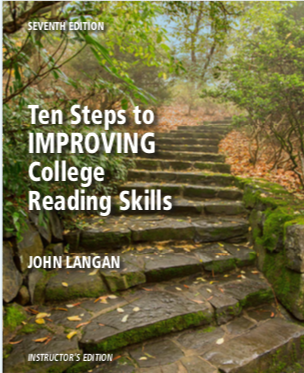 I’m really impressed with all of the Townsend Press materials I have used—especially the Learning Center. It is so organized and effective at putting my students in the driver’s seat with their progress without me having to spend a fortune at FedX Office making copies of materials pirated from the Internet. The customer and technical service is also world class—no, better! I’m not kidding. I’m a booster forever here in my district. I love using your book The Advanced Reading-Writing Connection in my CCR 092 classes. The PowerPoints are perfect, and classes always enjoy the cartoons. I’ve been using your books for almost 15-20 years, and my students have succeeded to pass into the college level 121 class. Thanks for all of your options. We have thoroughly enjoyed the Bluford books! From a teacher's perspective, it is a most wondrous sight to see: children simply enjoying a good book. Further, I am much appreciative of Townsend's exceptional customer service via Facebook and the amazing wealth of additional resources your company offers online. I truly feel as though I stumbled on a gold mine!